Andre Charles Bieler, painter and teacher. He immigrated with his family to Montreal in 1908 and served with the Princess Patricia's Canadian Light Infantry in WWI. He studied 1920-26 at the Art Students League, Woodstock, NY, in Paris and in Switzerland with his artist-uncle Ernest Bieler. 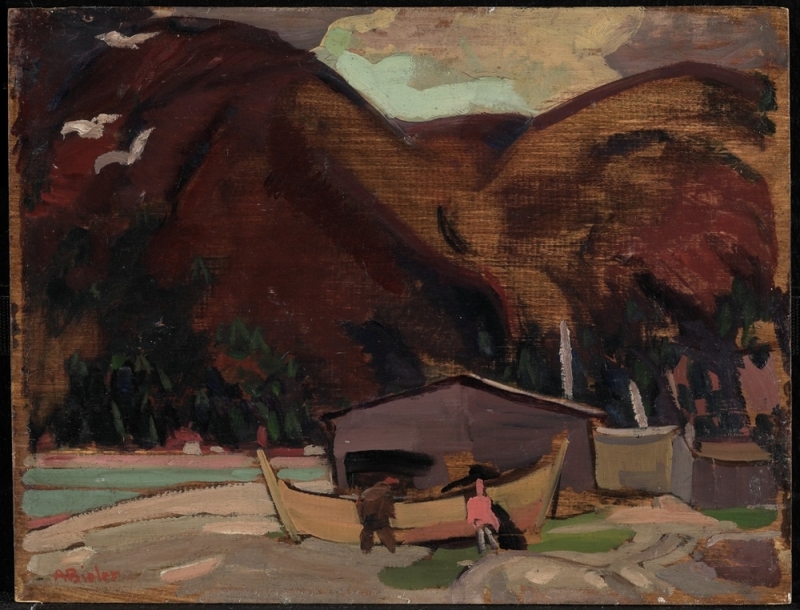 From 1927 to 1930 he lived on Ile d'Orleans, Quebec, painting the life of the Quebec habitants with fresh insight. Having established a studio in Montreal in 1930, he survived by teaching and taking commercial art work. Invited to Queen's in 1936, he remained as professor of art until retirement in 1963. 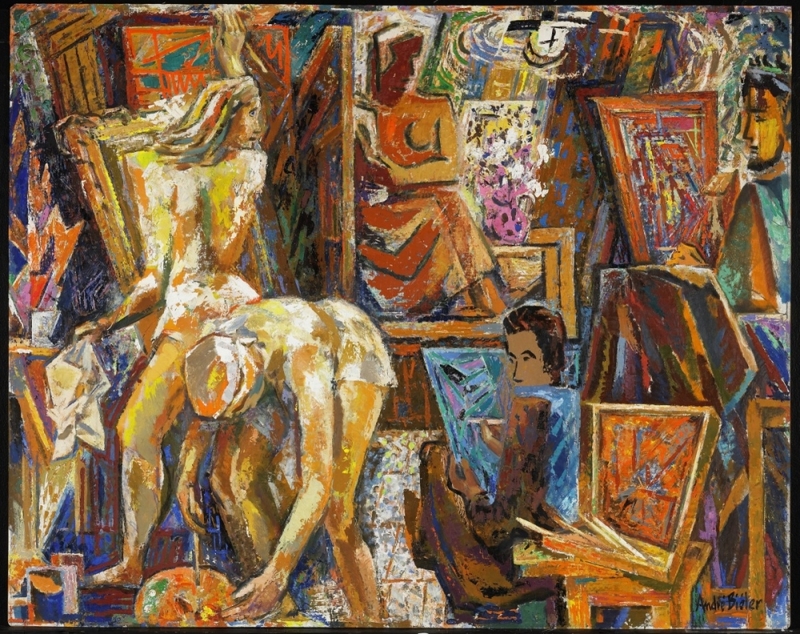 His concern for the position of the artist in Canada led him to organize the first conference of Canadian artists (1941), from which emerged the Federation of Canadian Artists with Bieler as first president. More importantly, it set in motion the Canada Council in 1957. He was chiefly responsible for the founding of the Agnes Etherington Art Centre, Kingston, in 1957, and was its first director. Nevertheless, painting dominated Bieler's life. An energetic and prolific artist, he drew his subject matter from life experience. 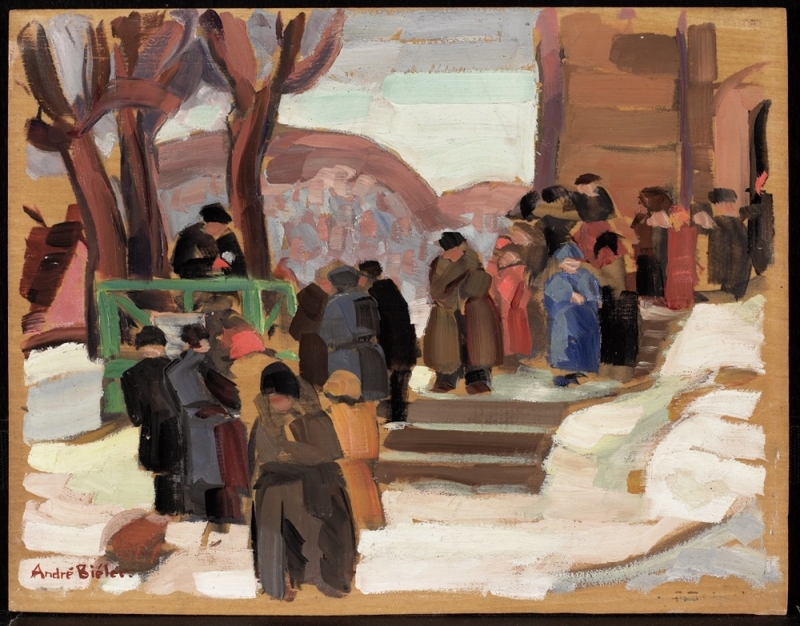 Stylistically, much of Bieler's work related more to modern French painting, especially of the "School of Paris," than to contemporary Canadian movements. He made sculptures in various media, and in 1968 invented a unique pneumatic press for printmaking. In later years his painting was concerned with light and colour as he reinterpreted thousands of early sketches.